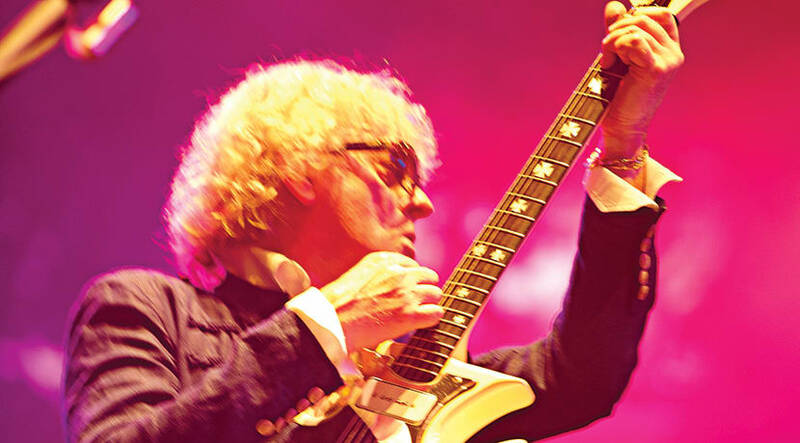 While Shropshire may not be a hotbed of music, it is the birthplace of one of rock’n’roll’s most distinctive performers - Ian Hunter. Born in Oswestry but now living in Connecticut, Ian is looking forward to returning to the UK this month with Mott The Hoople, the legendary band that left an indelible mark on the rock world between 1969 and 1974. While Ian isn’t planning to reform Mott on a permanent basis - “We don’t want to run it into the ground” - he sees this tour of the UK and US as a chance to reward the patience of his bandmates from the latter Mott line-up. One such chestnut will almost certainly be All The Young Dudes, the 1972 single that became the band’s first hit, donated by David Bowie on hearing that they were planning to split up. “Bowie offered us a couple of tunes which were okay, but we were writing okay stuff. All The Young Dudes came along and it was like, ‘Good god, why do you want us to do this? What an incredible song! Why are you giving it away?’ At the time, it saved our lives, but unfortunately it was also the beginning of the end for us. The band got a little disenchanted because now we were a pop band. I wouldn’t say we were glam, because we were too average-looking, but we were flash, and it took off that way. Following the demise of Mott, Ian’s solo career took off, with Once Bitten, Twice Shy becoming a top-20 hit in the UK and Cleveland Rocks earning him the key to the city of Cleveland in 1979. In the 1970s, Ian’s ‘lyrical well’ included teenage memories of his childhood in Shropshire, with the song 23a Swan Hill recalling the address in Shrewsbury where he lived in the first half of the 1950s. Irene Wild, meanwhile, referenced the town’s former bus station. While that experience ultimately proved frustrating, another connection during Ian’s teenage years had a major influence on his burgeoning musical development. Mott The Hoople appear at Symphony Hall, Birmingham, on Sunday 21 April. The band are also performing a pre-tour warm-up show at The Assembly, Leamington Spa, on the 17th of this month, for which they’re making a limited number of tickets available.